Goodreads: Antiques dealer Kristin Clark is ready for summer: Her friends—Holly, Sophie, and Bootsie—have been busy party-planning for the annual Tomato Show at the country club, and plotting to beat long-time nemesis, Eula, in the tennis tournament. Plus, Kristin’s now serving a famously potent Peach Punch every Thursday at her store, which will definitely lure in customers! 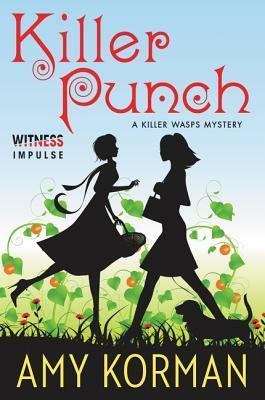 Kritters Thoughts: Killer Punch is book 3 of a mystery series. I had read book one and two a very long time ago and reading book 3 and 4 were on my to do list that I wanted to complete in 2018 and I just barely did at the end of the year. I think the reasons why I didn't love this book as much as book one and two is because I read those so long ago and I wasn't connected with the characters and felt as though reading this book I was jumping on a ship midstream. I have also read a lot of mystery books since reading the previous two books and after reading all of those, this book felt amateurish. I felt as though this story jumped around and I had a hard time keeping my attention to the story. I think I liked Kristin Clark more in the previous books and felt as though I enjoyed her investigating in the previous mysteries. This one had two mysteries going on and they seemed disjointed and maybe I would have liked it more if there had been more focus on one other the other. Tomorrow I am reviewing the final in the series, Killer Holiday and will be glad to check an unfinished series off my list.